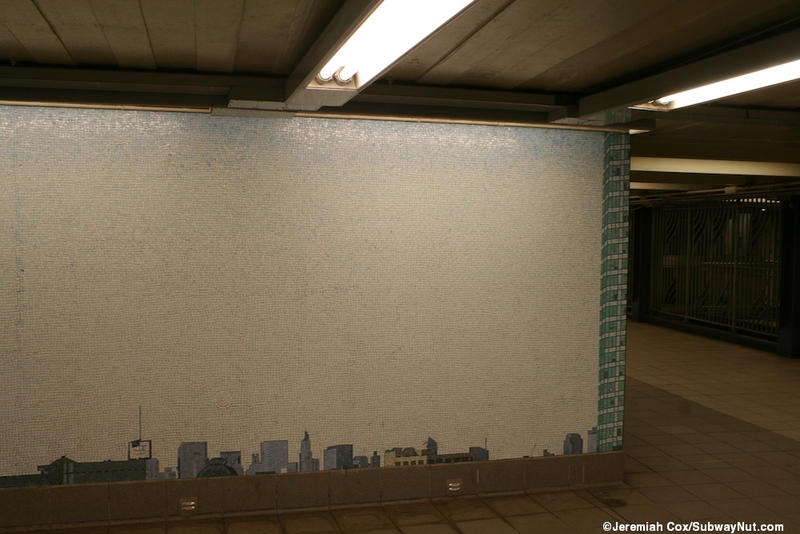 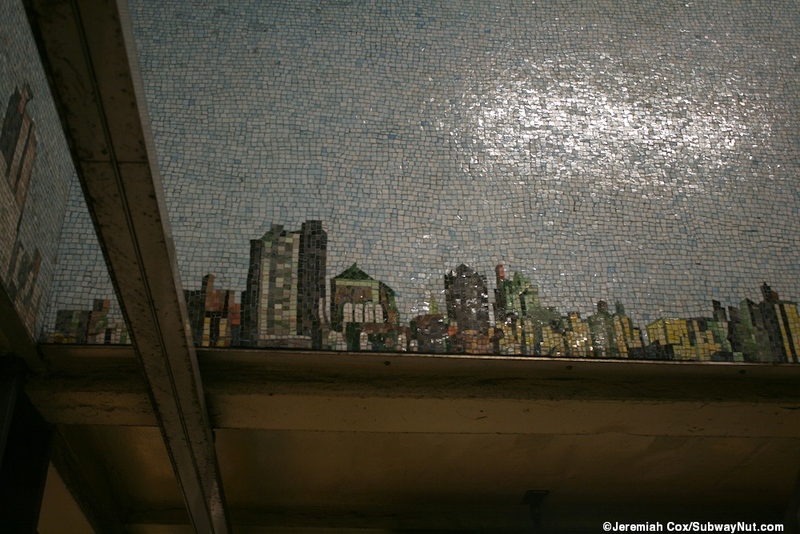 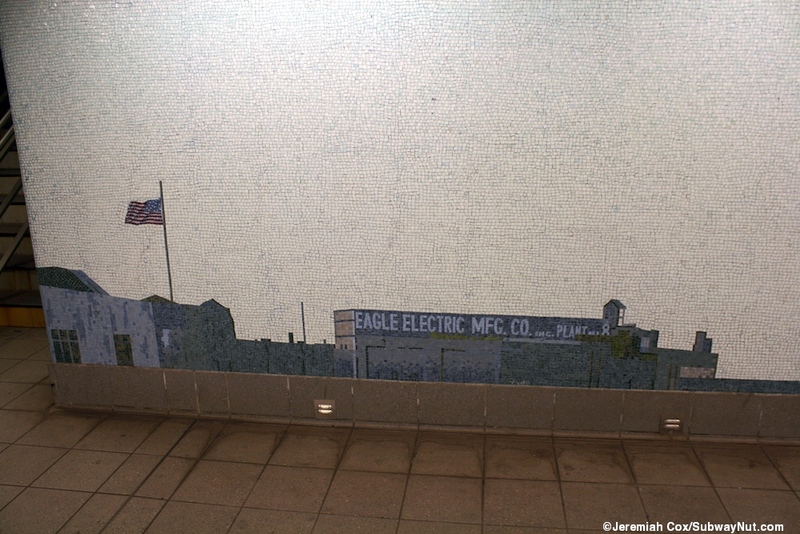 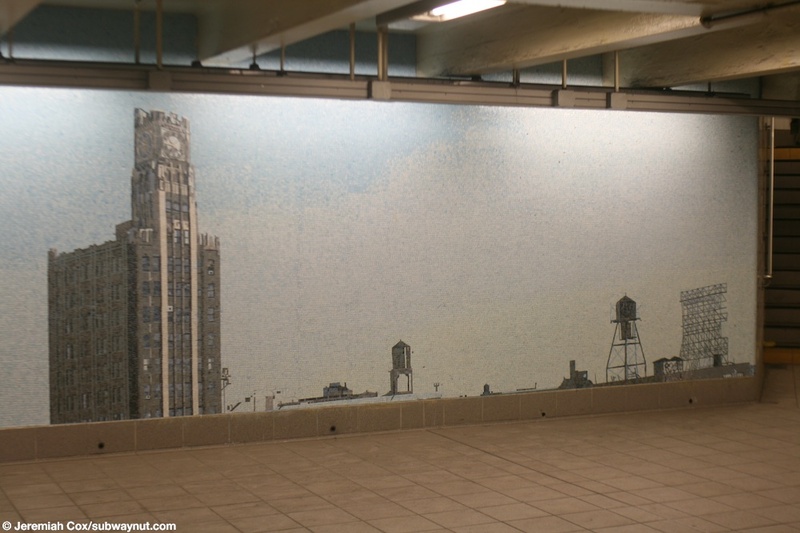 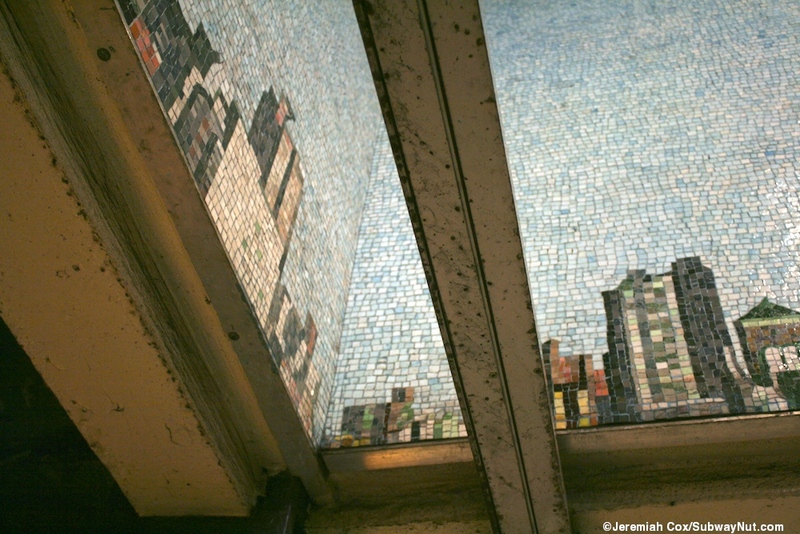 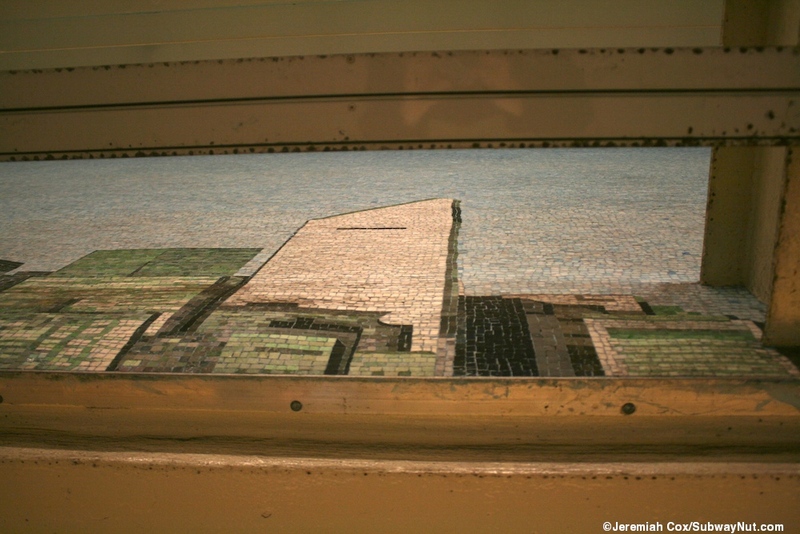 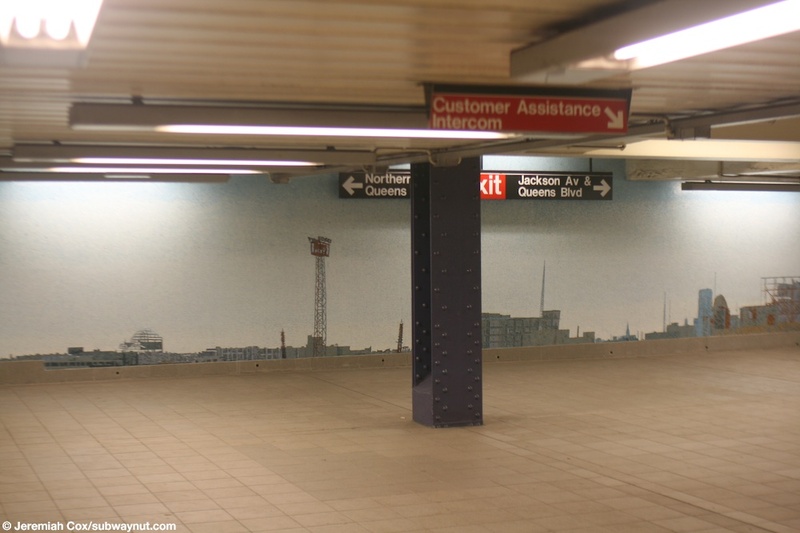 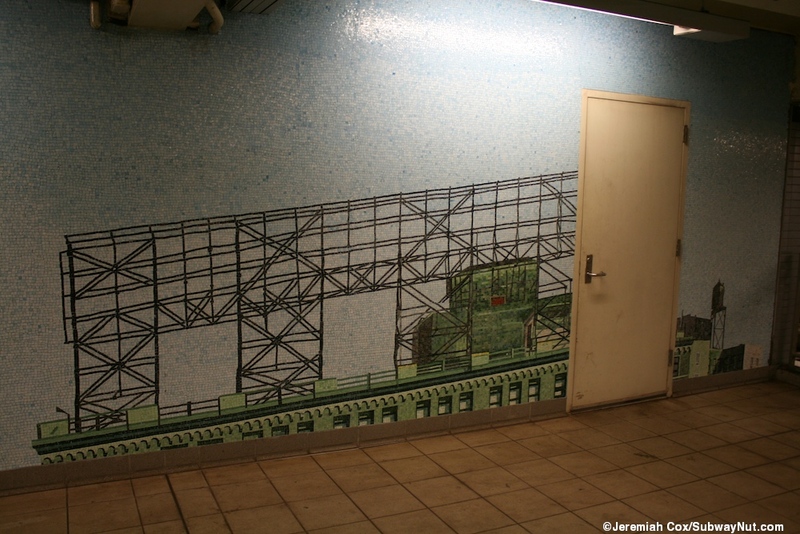 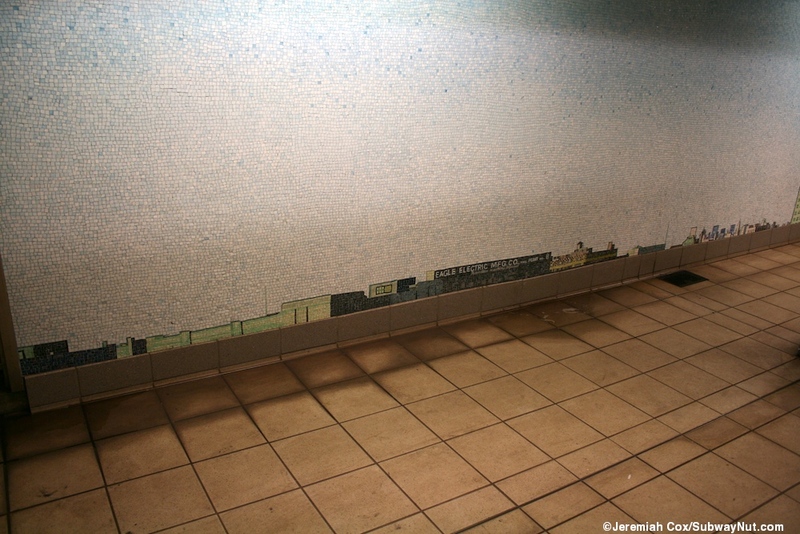 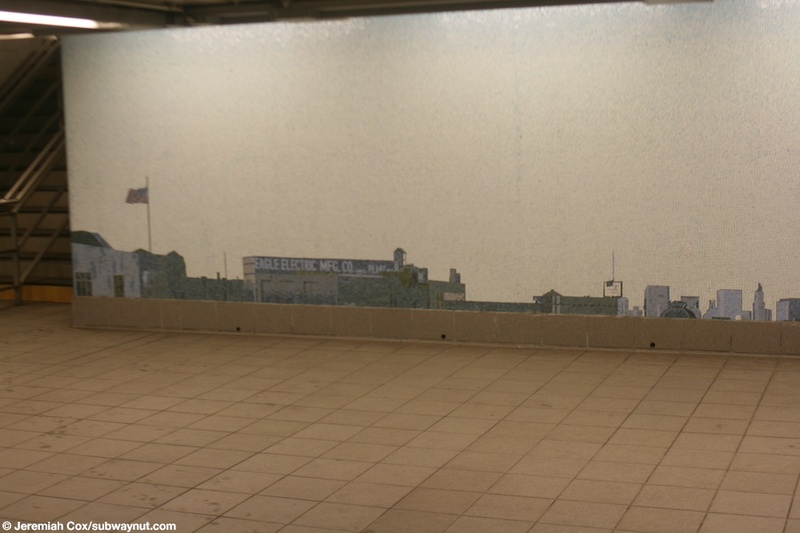 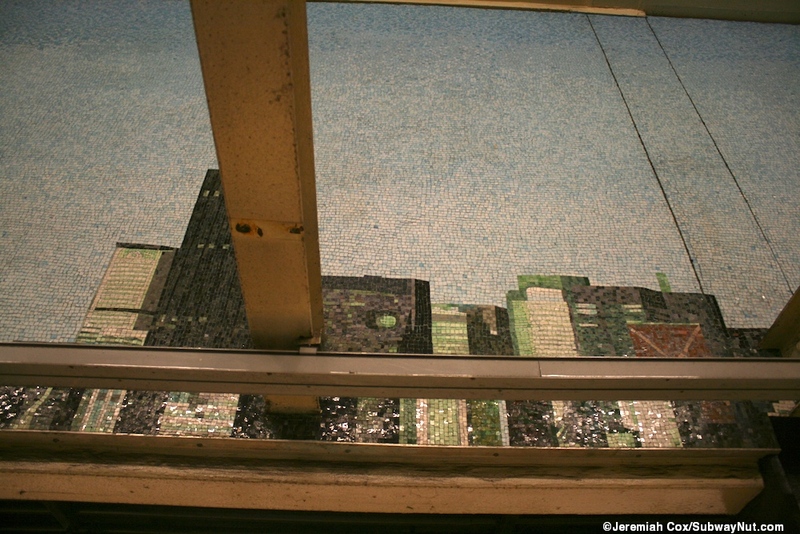 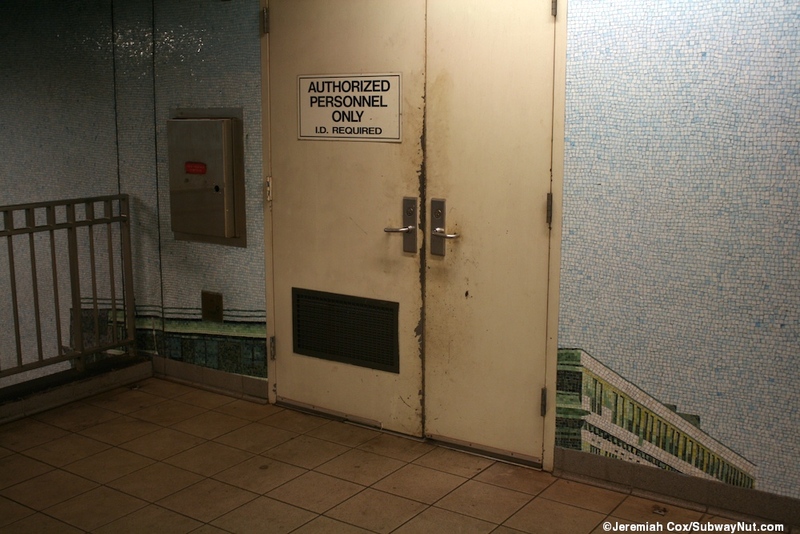 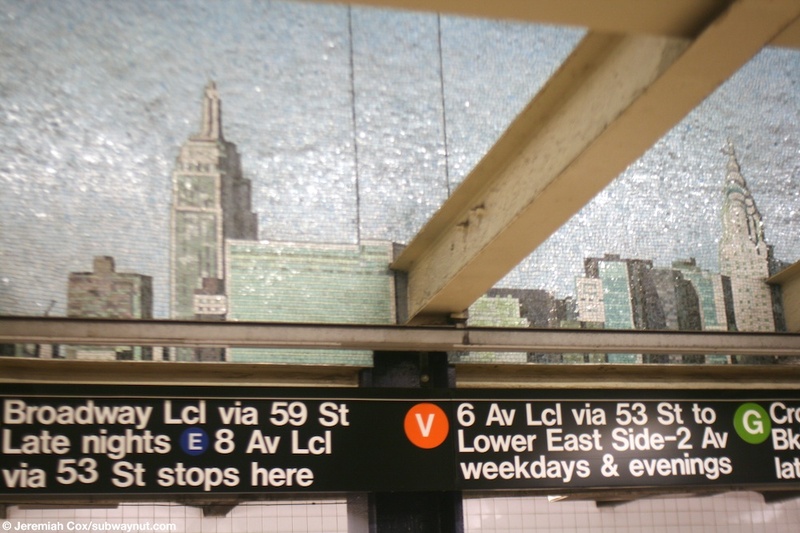 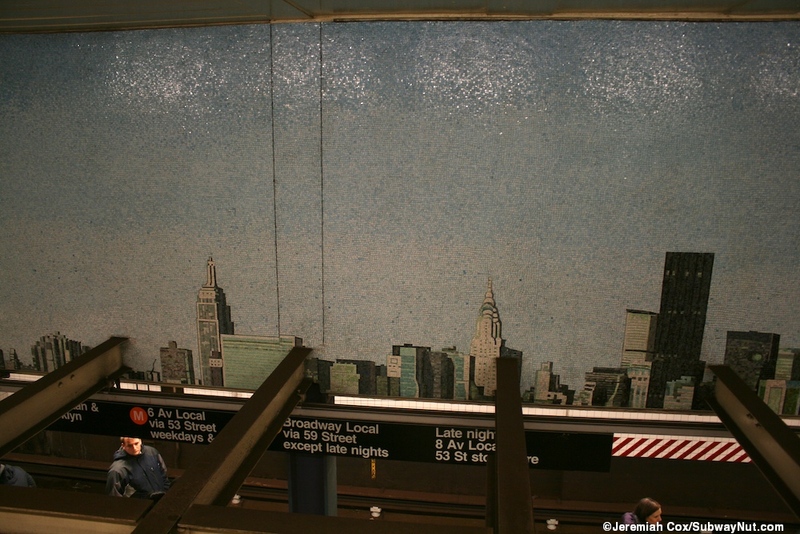 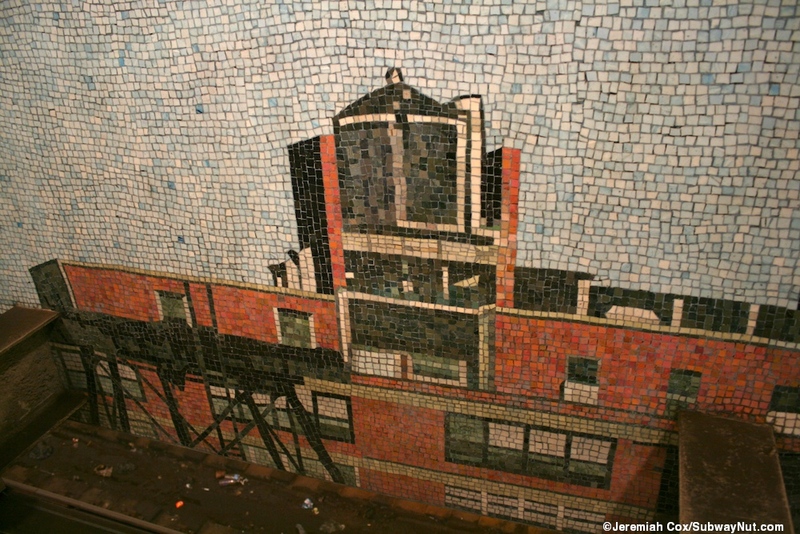 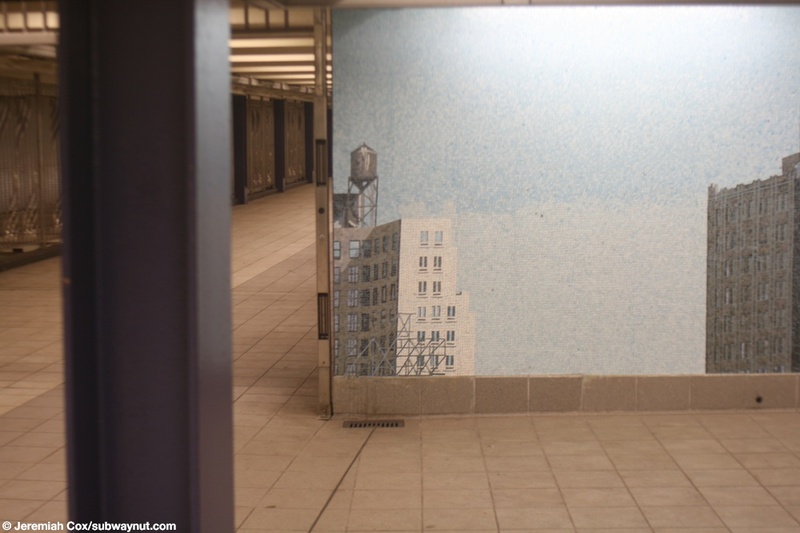 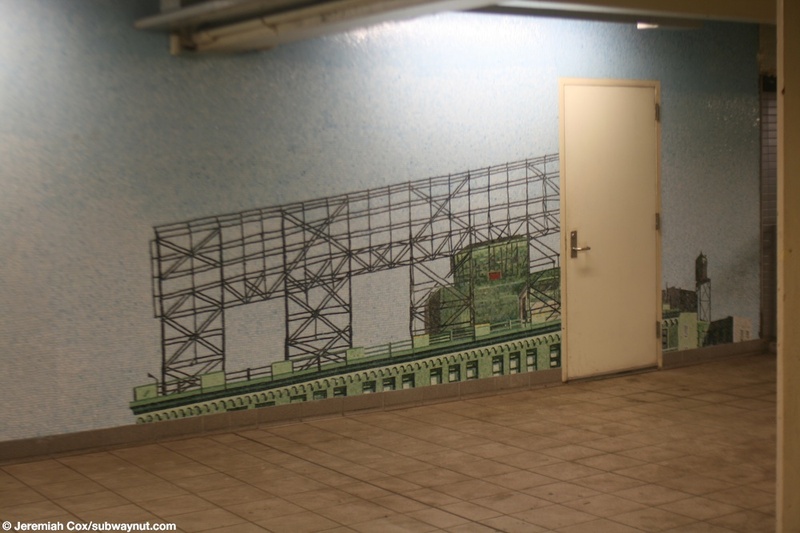 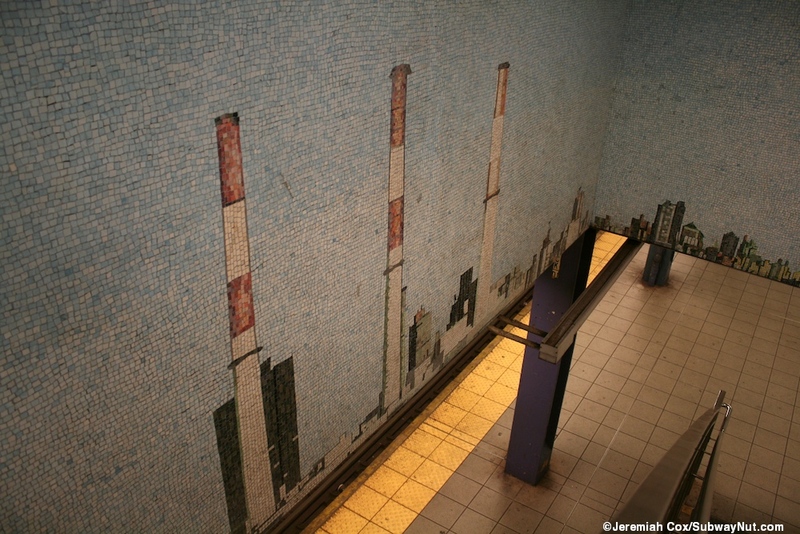 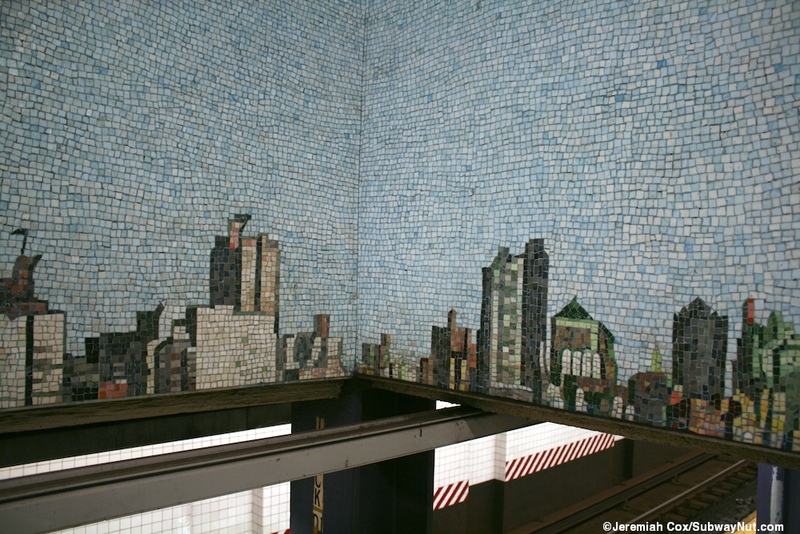 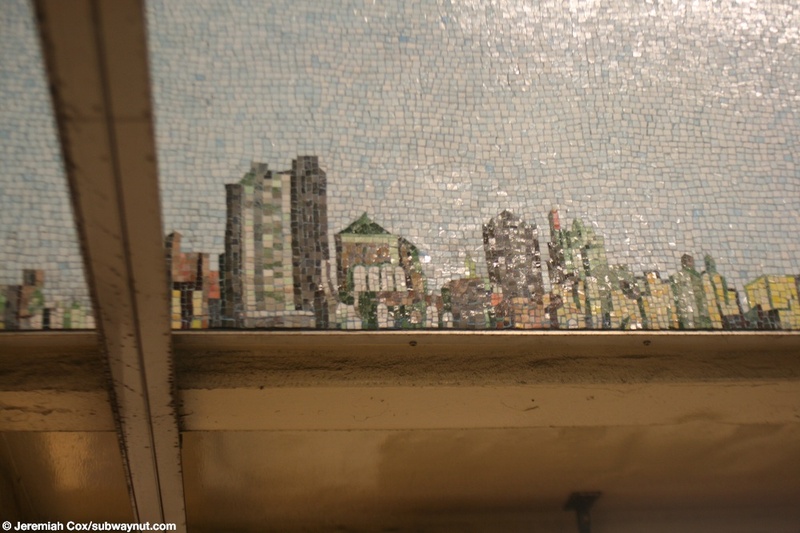 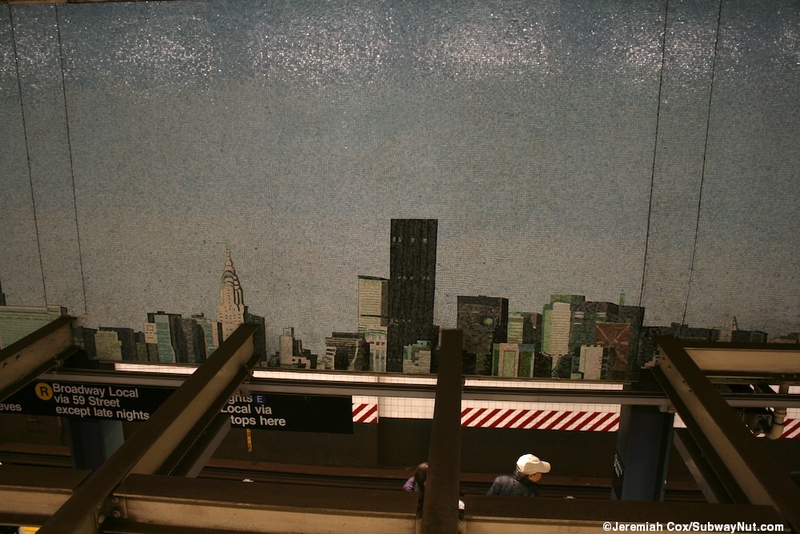 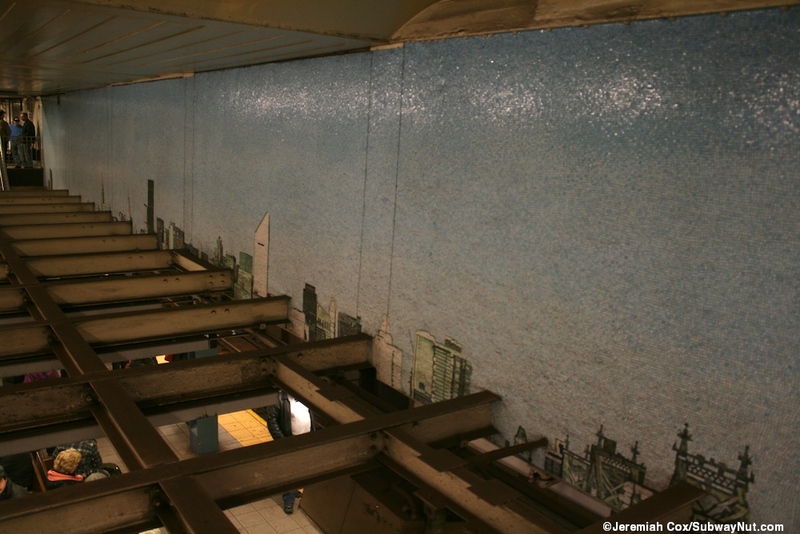 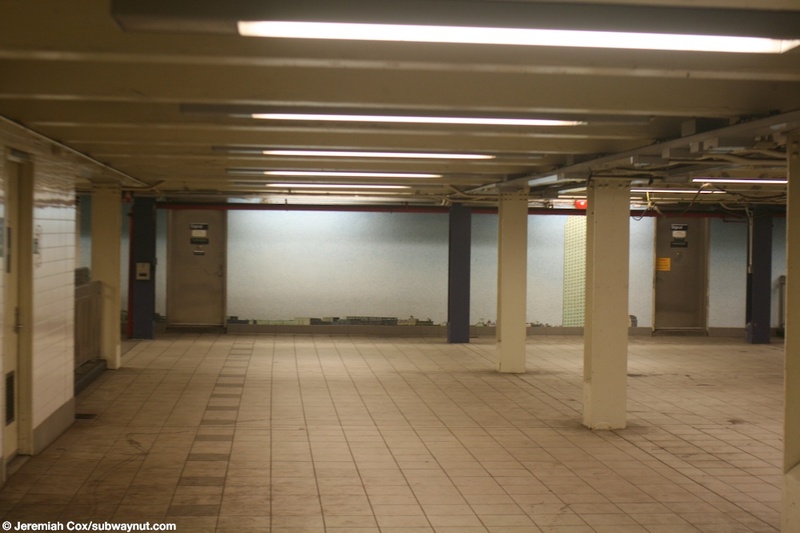 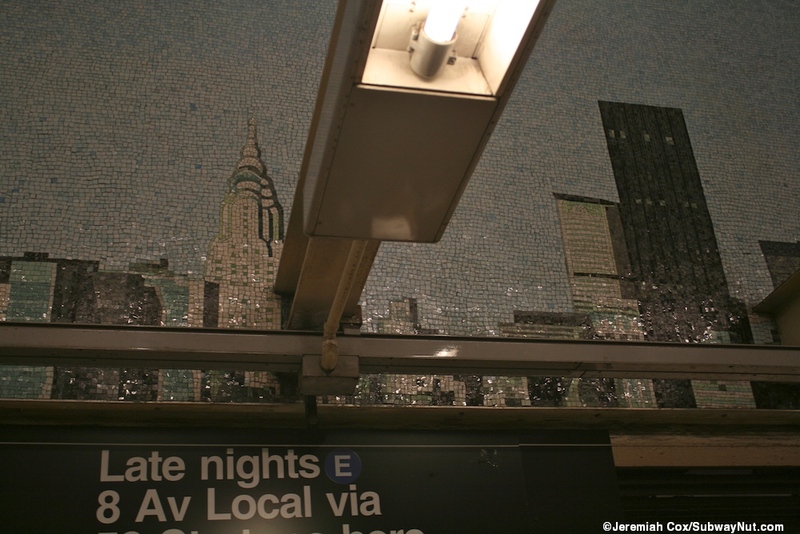 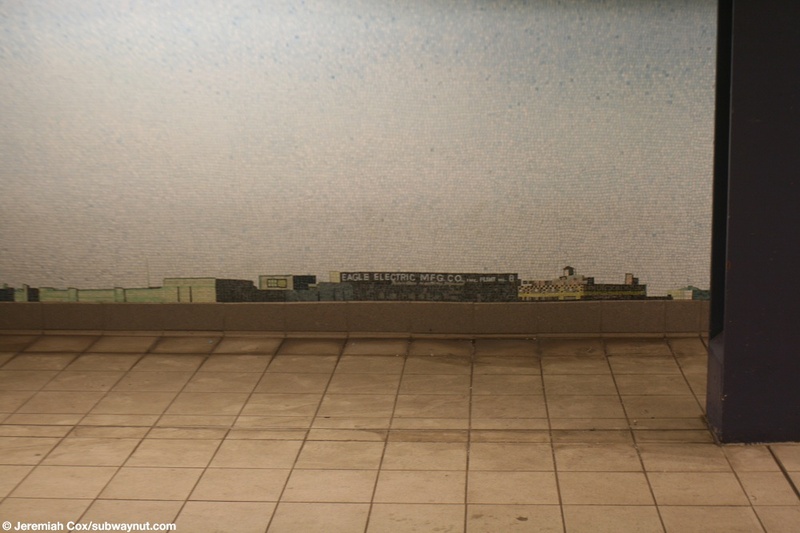 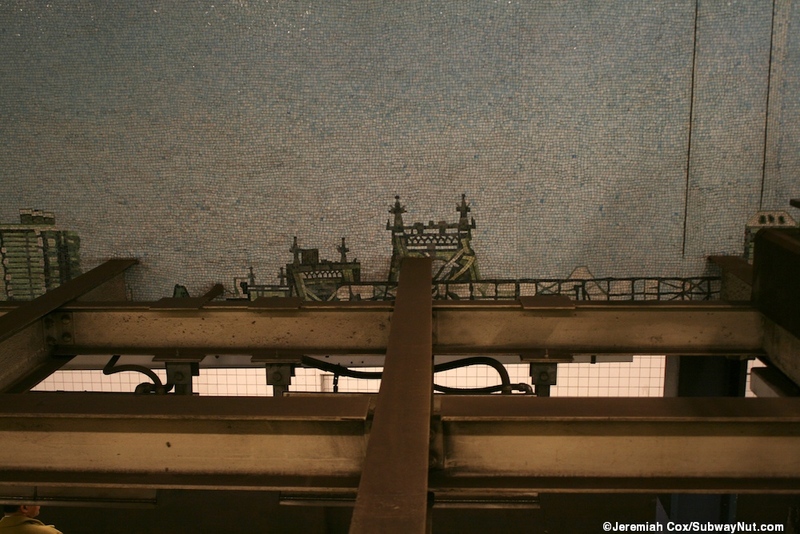 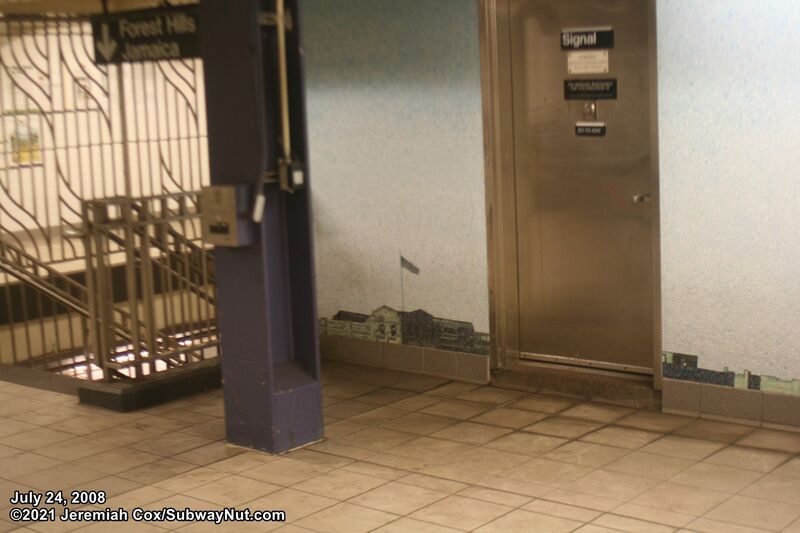 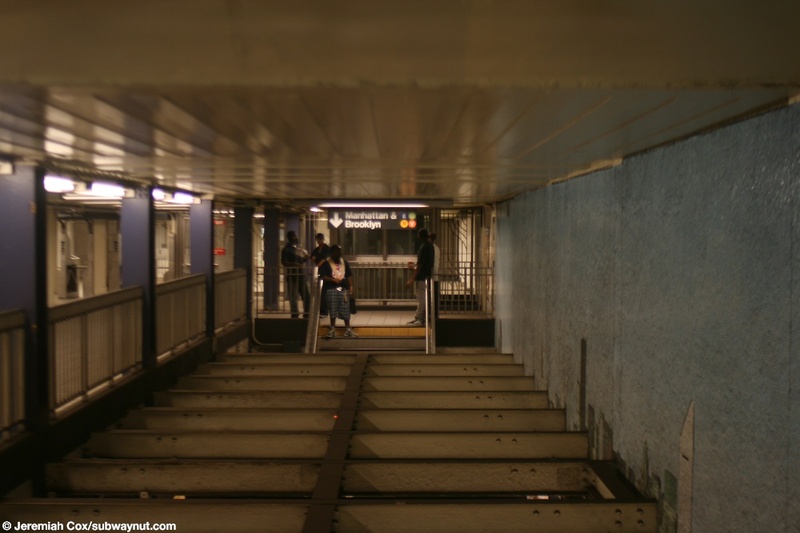 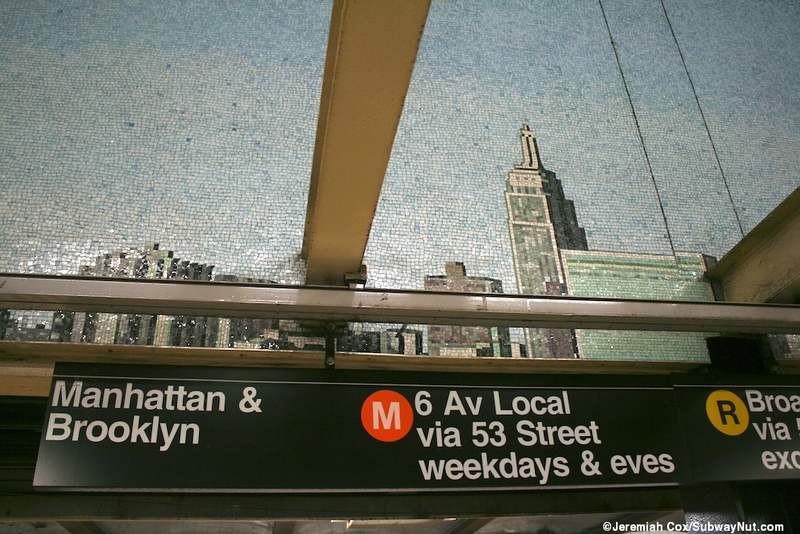 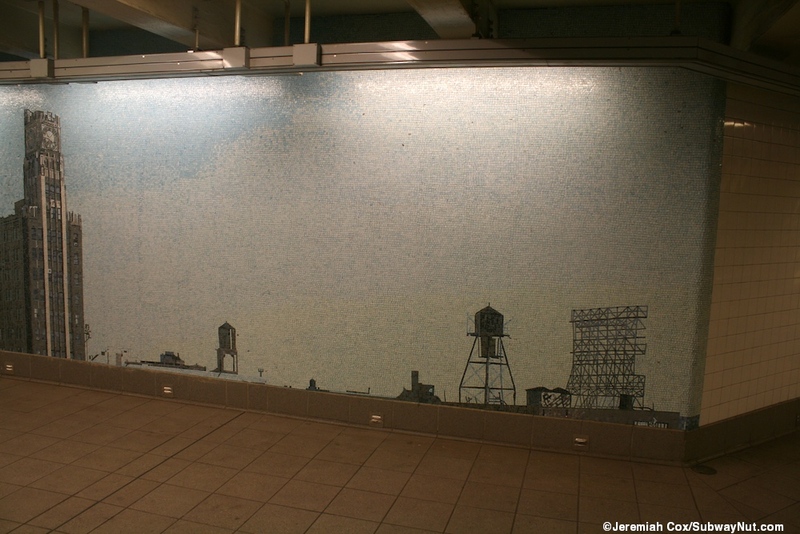 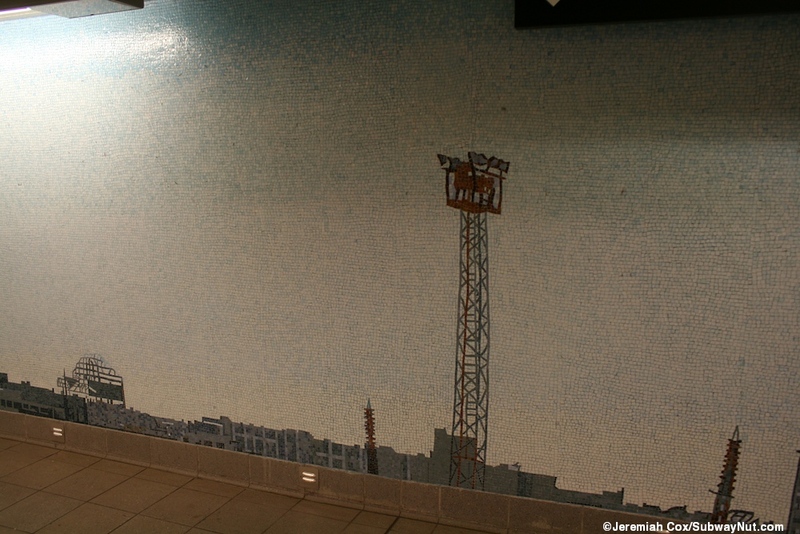 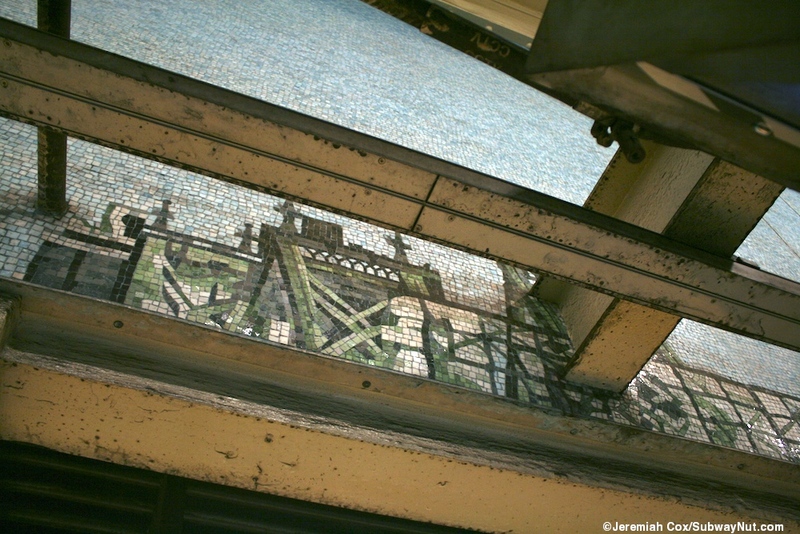 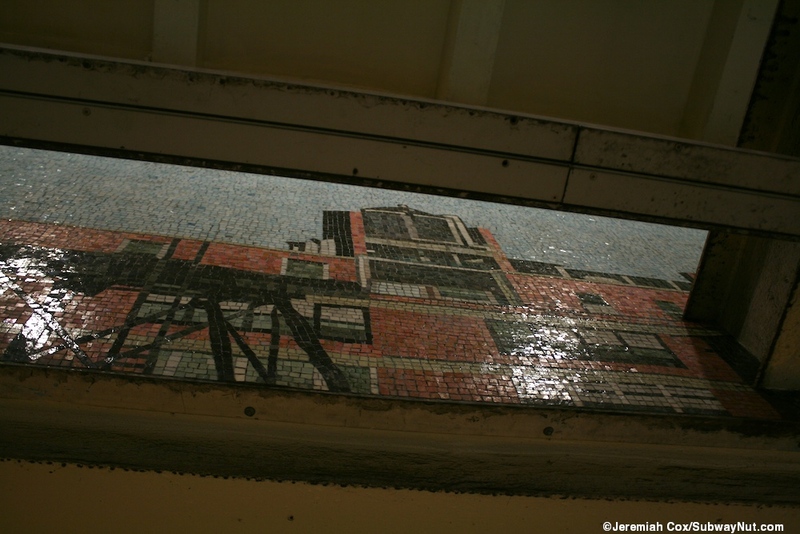 It consists of various walls on the mezzanine that have been tiled to show what the skyline from street level looks like. 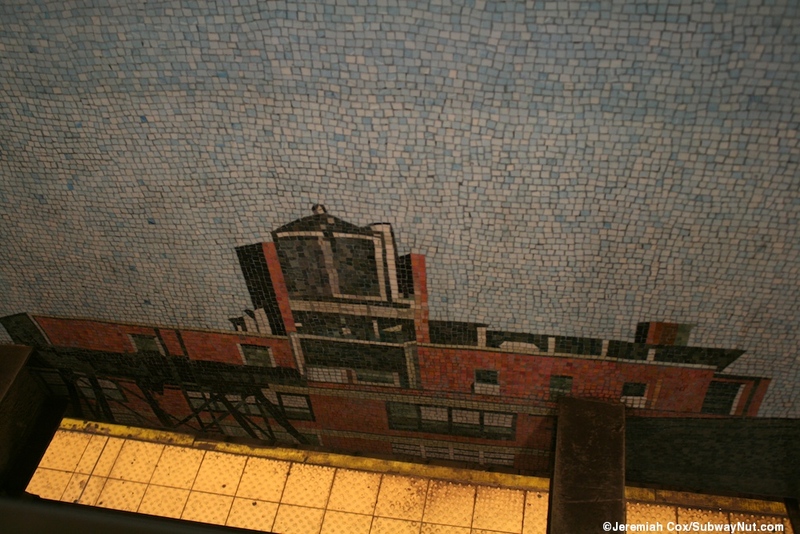 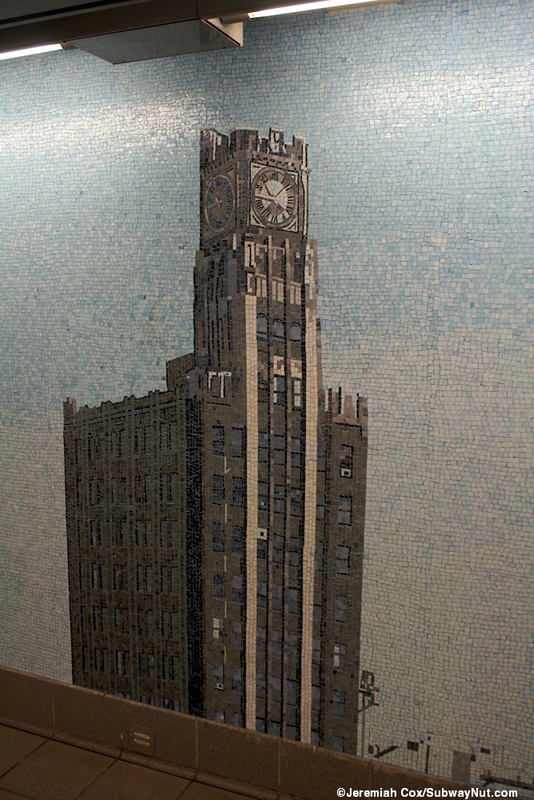 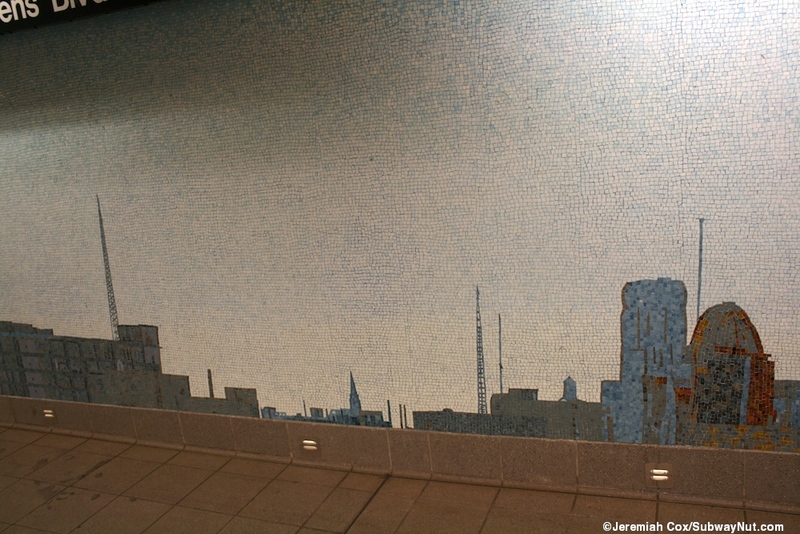 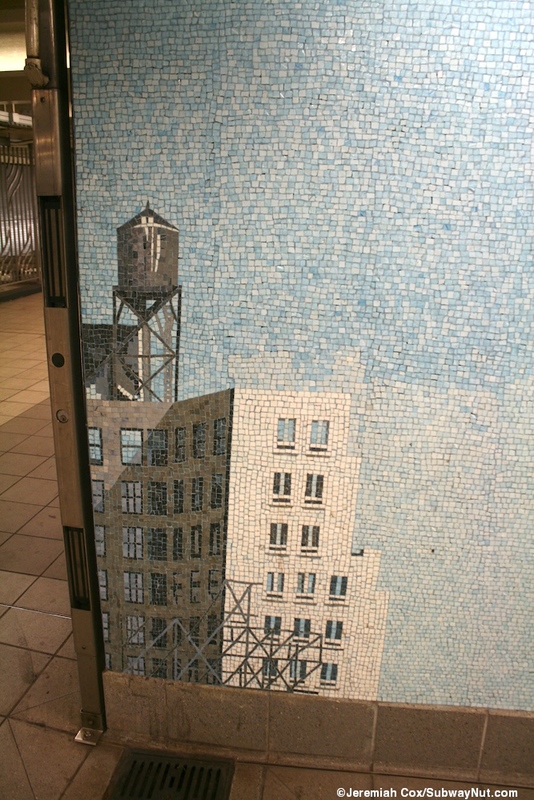 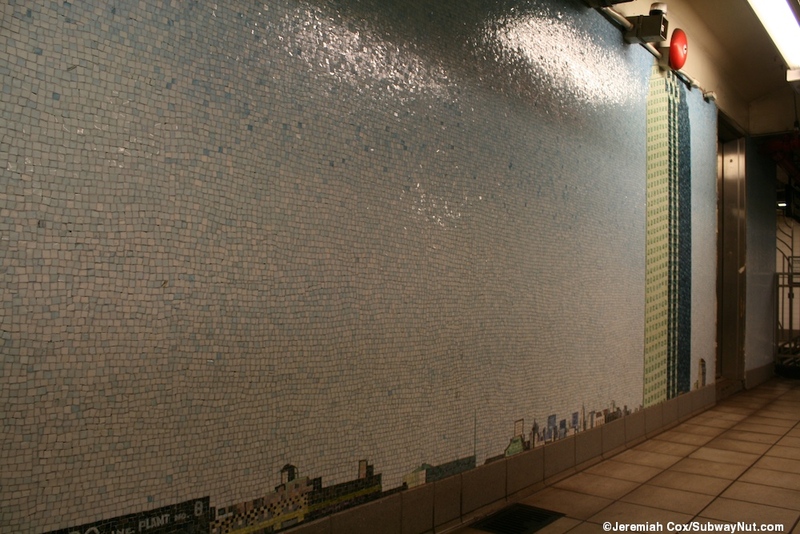 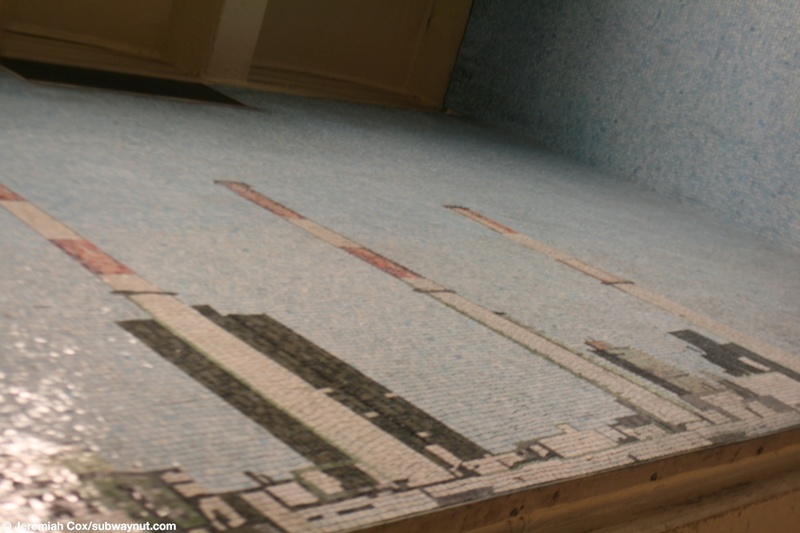 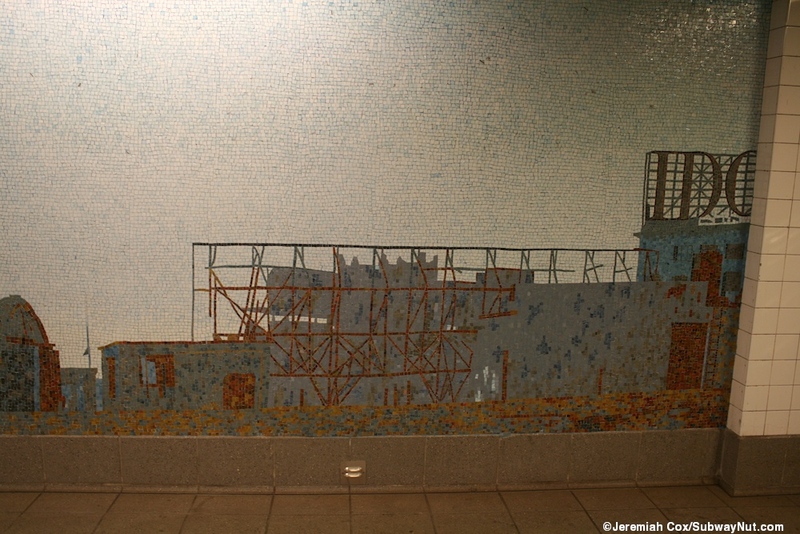 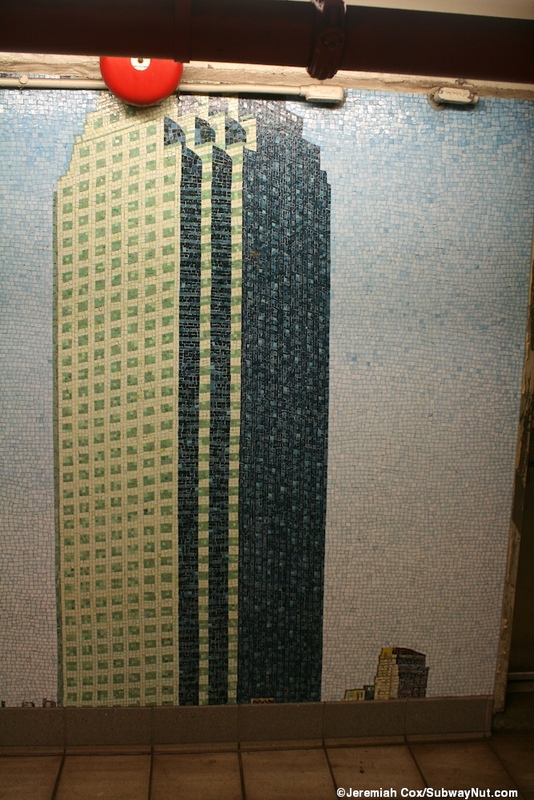 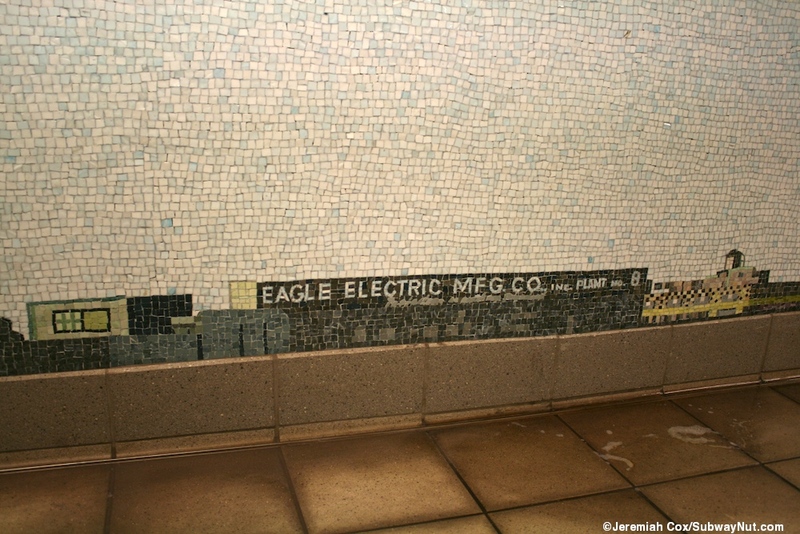 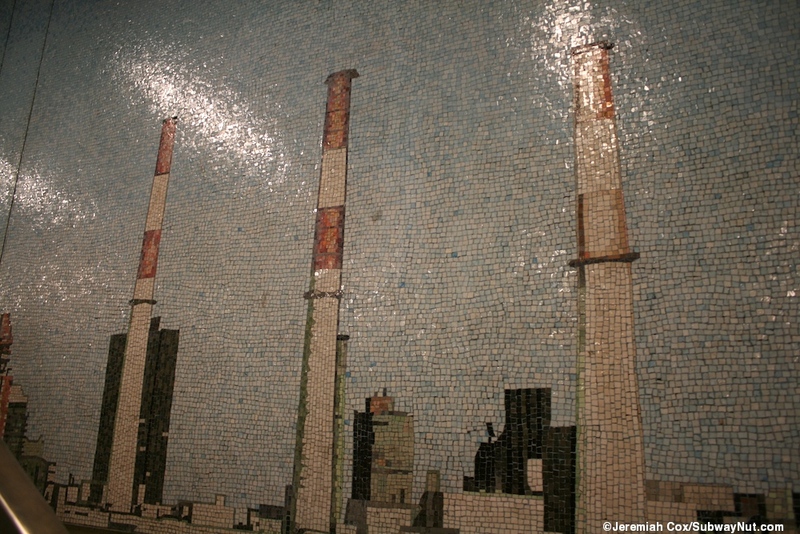 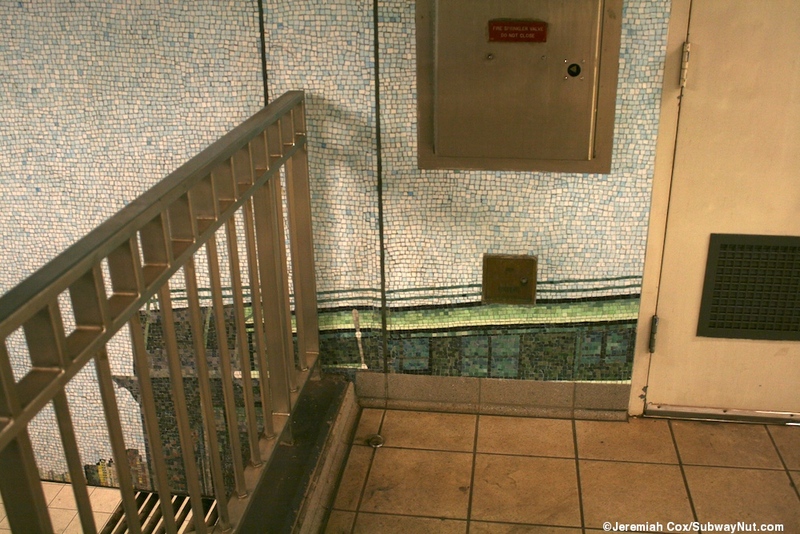 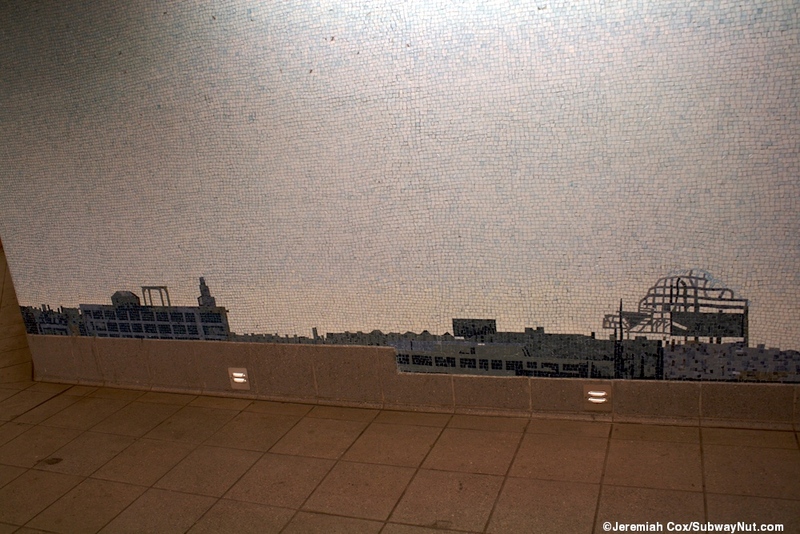 Most of the walls are sky blue tile but lining the bottom of them is mosaic that looks like various buildings. 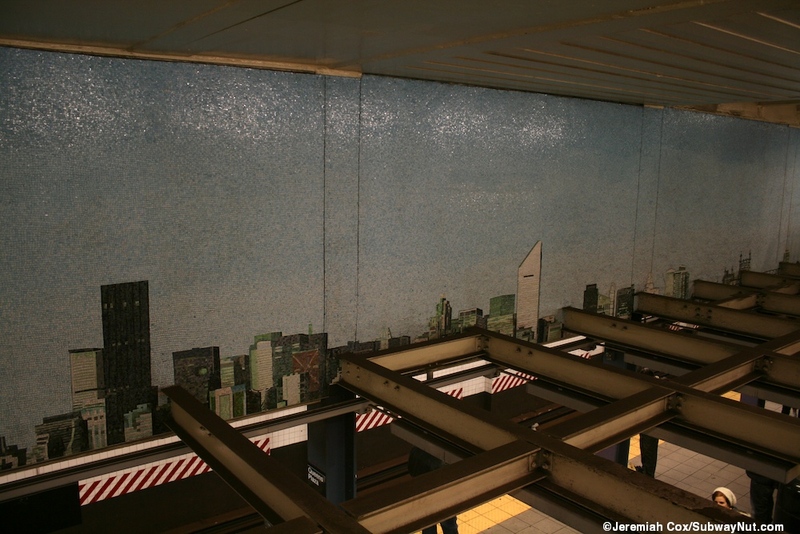 The Midtown skyline is visible, nice and small. 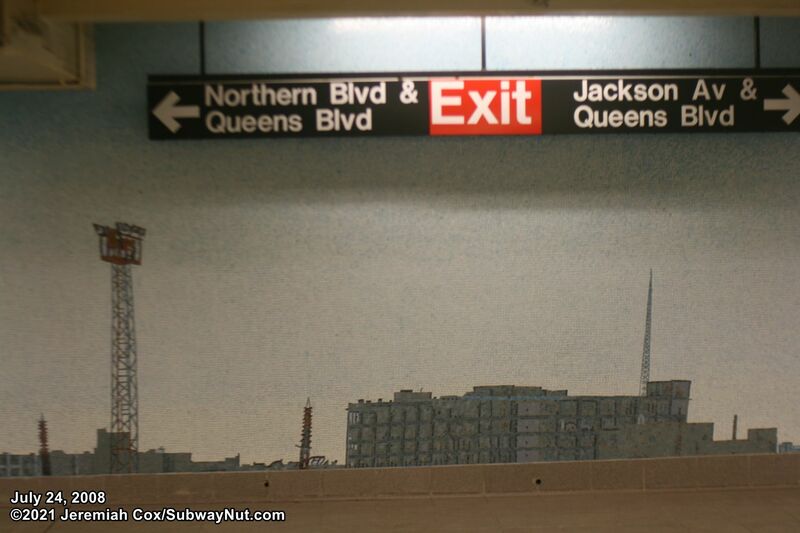 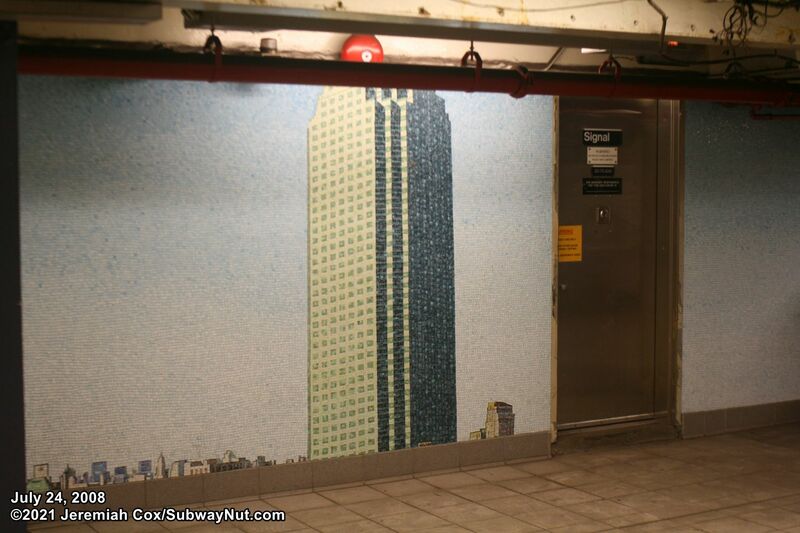 The biggest building is the Citigroup, the tallest in Queens not all that far from the subway station. 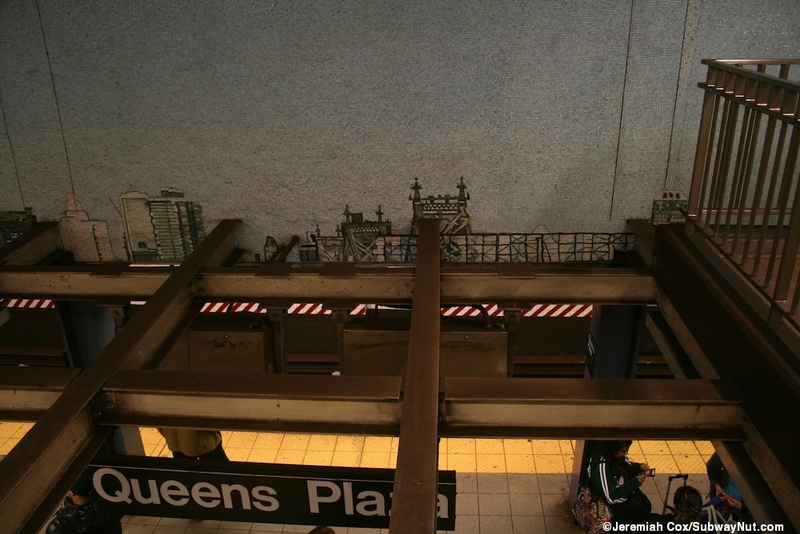 Most of the roofs though look like warehouses.